The GOP's Tea Party wing has made serious inroads into Texas state offices, but the movement has come up short when it comes to congressional elections, failing to field candidates with serious chances of ousting incumbent U.S. House members. WASHINGTON — With 25 Republicans in the U.S. House and a vibrant conservative presence back home, Texas would seem a target-rich setting for the Tea Party to dislodge long-time establishment Republicans from Congress. But it hasn't had much luck so far ousting Texas incumbents, a testament, observers and insiders say, to the powers of office and spiraling costs of congressional campaigns. 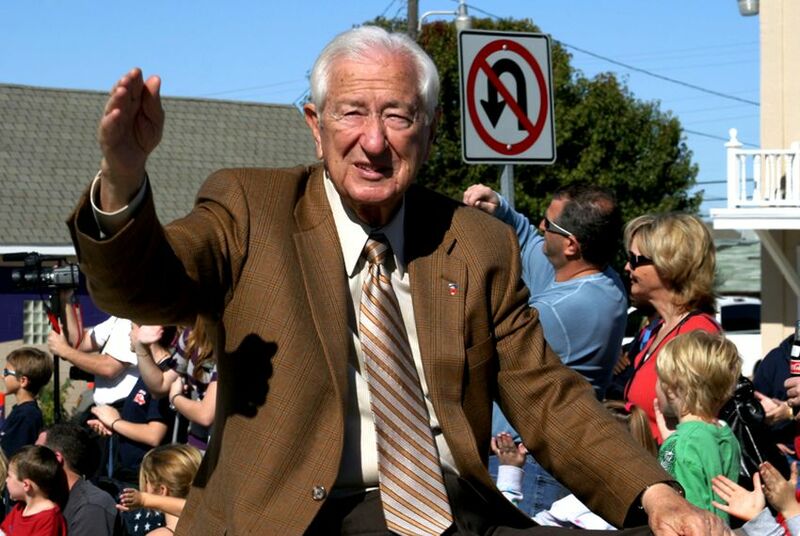 Former U.S. Rep. Ralph Hall is the only incumbent to lose his Republican primary since the Tea Party gathered steam. And while his rival, now-U.S. Rep. John Ratcliffe, had backing from national Tea Party-aligned groups, most Republicans attribute Hall’s loss to a sleepy political operation. “Challengers who can raise hundreds of thousands of dollars and have a case to make against an incumbent can make primaries competitive, but the odds are stacked against them,” said Matt Mackowiak, a consultant who was part of the team that defeated Hall. While Texas has no campaign contribution limits unless the Legislature is in session, federal dollars must be raised in increments no higher than $2,700. With expensive media markets, Texas campaigns need money. Tea Party activists make no secret of their hope to oust U.S. Rep. Pete Sessions from his Dallas-based district. But he breezed past his underfunded opponent in 2014, in part because she could not afford to build name recognition with a large-scale television campaign. Often the Club for Growth, a limited-government advocacy group, will endorse and direct its donors to a conservative challenger. But even strong fundraising can present a conundrum. If a challenger pulls together the bankroll needed to take on an incumbent, there is a real danger of setting off alarms in Washington. Political allies and groups like the U.S. Chamber of Commerce might intervene on behalf of a business-friendly incumbent as the local congressional race becomes a front in a national proxy war between the Tea Party and the establishment. The short sprint of a Texas primary season, Mackowiak said, also works against challengers. "In Texas the filing period ends in mid-December, leaving only 10 weeks for the primary on the first Tuesday in March," Mackowiak said. And for some potential candidates, the state Legislature is just flat more appealing. For one, a Texas state Senate seat actually means more exposure, having about 811,000 constituents compared with about 711,000 in a U.S. House district. But also, Republican operatives say, the continued gridlock in Washington increasingly makes Austin a place where officeholders feel they can have a greater impact on policy. National Republican operatives scratch their heads that there are not more self-funding Texans with big egos running for Congress. A handful of Texans are ranked among the Capitol Hill newspaper Roll Call’s 50 richest members of Congress. Given the size of the state’s delegation and Texas’s relative wealth, several operatives said it would make sense for more Texas millionaires to be better represented on that list. But one Washington-based Republican with candidate recruiting experience said that the detailed financial disclosures federal candidates must file are enough to deter candidates. State lawmakers face less stringent disclosure laws, he pointed out, making state campaigns more attractive to wealthy candidates who would rather not reveal too much about their how their fortunes were made or where their money is invested. But there is reason to be optimistic about the future, if not this coming cycle, Tea Party sources say. The Tea Party bench of freshmen and sophomores in the Legislature is maturing, they argue, and it is just a matter of time before those politicians are ready to run for Congress. And Tea Party numbers could also grow as federal incumbents begin to retire, and they can capitalize on open-seat races, like U.S. Sen. Ted Cruz’s 2012 win. Tea Party activists have also set their sights on U.S. Rep. Blake Farenthold’s Corpus Christi-based seat. Farenthold’s office is in the middle of a sexual harassment lawsuit and has stepped up his campaign organization in preparation for challenges. In the end, political operatives across the conservative spectrum agree that there is one silver bullet for taking out an incumbent: the element of surprise. Hall, and former House Majority Leader Eric Cantor of Virginia, lost their re-elections because they were caught napping. But when incumbents – and their donors and interested allies – foresee and prepare for a challenger, they usually survive.